I got to meet Kaffe Fassett after his colour lecture that he gave in Cape Town on 15 July 2015. 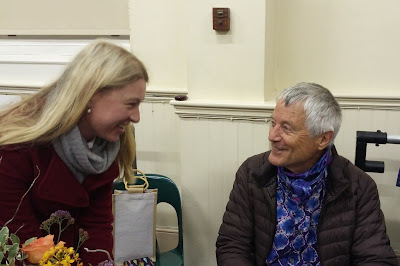 He signed my favourite Kaffe Fassett quilting book: "Simple Shapes Spectacular Quilts". He was very gracious. I enjoyed Kaffe's colour lecture very much. 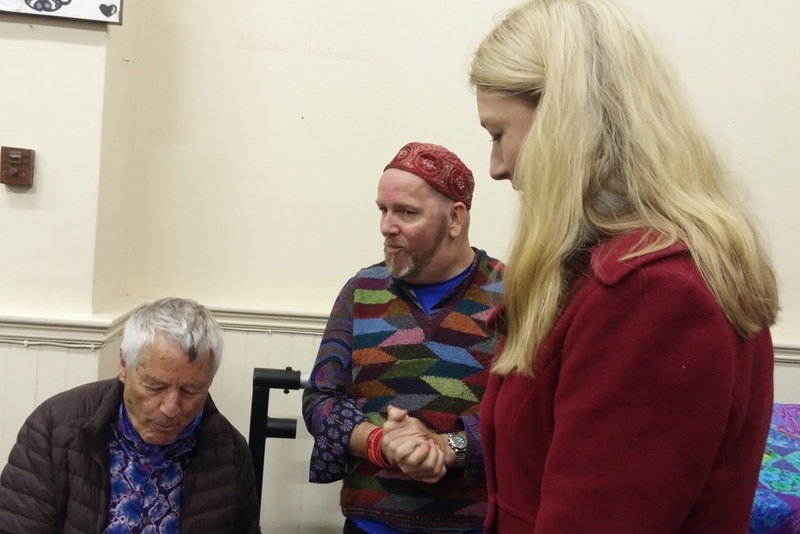 Brandon Mably introduced him as "His Lordship", which made everyone laugh. Kaffe spoke about his life and how he got to where he is now. He showed lots of inspirational pictures, pictures of things he had crafted and designed, and photos of quilts from his workshops. Afterwards, he held a Q&A session with the audience, I even got to ask him a question about the colours he uses. It was a wonderful evening, which I will never forget. I never thought that I would get to meet Kaffe and Brandon, living here at the bottom of Africa, but wishes do come true. Sounds like it was worth it and you had a great evening. I think it's especially lovely to hear him talk about his art as he's not as young as he looks and who know how much longer he can do these kind of things (apparently he's nearing 80 years soon). Oh, you lucky lady, not only meeting him but talking up close and personal while he signed your book. By the way that is my favorite of his books too. How wonderful! I love seeing the photo of you and Kaffe together. I got to meet him about 10 years ago. He is an extraordinary man, Brandon too! Oh lucky, lucky you! So pleased you enjoyed the lecture.